A giant stockpile of tampons isn’t going to do you much good if you have to evacuate your home. Likewise, if your home gets flooded, those tampons will be ruined. It should go without saying that getting your period during a disaster could be very different than in normal times. We owe it to women to talk about hygiene options during disasters so they can be prepared. The main options you have for periods during an emergency are: tampons, pads, reusable pads, and menstrual cups. 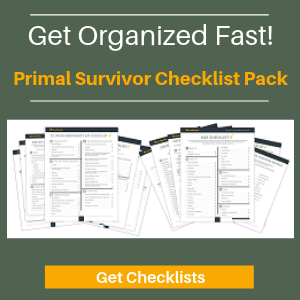 Here’s what you need to know about each option for disaster preparedness. Disposal Method: Think about how you will dispose of hygiene items. 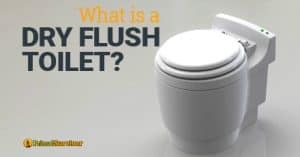 If you plan on using a composting toilet during emergencies, for example, you won’t be able to put pads or tampons in it. Read about camping toilets, composting toilets, the two-bucket system, and latrines. Hand Washing: It is important to have clean hands when changing hygiene items. 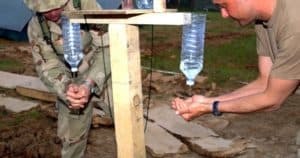 Read about how to wash your hands without running water. Storage: How will your hygiene items withstand flooding? Tampons and pads should be kept safe from flood water. Stockpiling pads or tampons is okay, but they take up a lot of space and will eventually run out. I’d highly recommend stockpiling some tampons or pads, but also buying a couple menstrual cups. They can be used for over 5 years each, which means you wouldn’t have to worry about hygiene items for a long time. Ideally, you test out the menstrual cup before an emergency hits so you can get used to using it. I’ve tried just two brands of menstrual cups. They were pretty similar, but I still preferred my Diva Cup. It retains its shape better and never leaked. The major benefit of using tampons is that they are no-contact: you can get ones with applicators and apply them without having to touch yourself. In a situation where there’s no running water (and everything around you may be tainted by sewage and other waste), this is a huge plus. How Many Tampons to Stockpile? There’s no recommended amount of tampons to stockpile. However, I’d say you should stockpile around one year’s worth. The only issue is that you will eventually run out. I’ve seen supermarkets get stripped bare for 3-day blizzards. Imagine how long it would take to get sanitary supplies if a longer-term disaster like a big earthquake occurred. You could try stockpiling huge amounts of tampons, like 3 year’s worth. However, I don’t think having more than a year’s worth of tampons makes much sense. f a disaster does end up lasting longer, you’d probably end up changing location – and you won’t be lugging around tons of tampons when you do! Some people do recommend stockpiling more tampons as a SHTF barter item though. Remember that tampons will get ruined if they get wet. This is especially important if you live in a flood zone or area that gets hit by hurricanes. Keep your tampons on an upper level floor. Or, invest in some dry bags for storing them in. In a Go Bag or Bug Out Bag, ideally you should keep tampons in a waterproof bag or dry sack. At the very least keep them in zip baggies. In emergency situations, the best way to dispose of tampons is in the trash or a pit latrine. 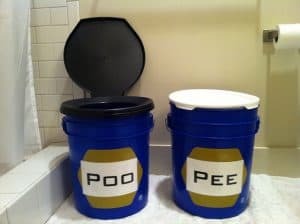 Or, if you using the twin-bucket system, you can put tampons in the poo bucket. Most tampons do have some synthetic fibers in them. These will not compost. 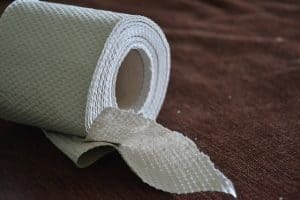 So, if you are going off-grid and want to use a compost toilet, then you should only use 100% cotton or all-natural tampons. Never put tampons in a camping toilet. They will clog the drain tube and make a nasty mess. If SHTF and normal rules go out the window, then you could bury the tampons. However, this isn’t something you’d want to do in less-serious times. Animals like stray dogs will dig them up and make a mess. Plus, eating tampons can cause serious harm to animals. As one women who lives in India said in a forum, you don’t want to know that the stray dog poop looks! For emergency hygiene, pads are pretty similar to tampons. The only issue is that they tend to be bulkier, so will take up even more room in your disaster supplies stockpile or Go Bag. Like with tampons, take steps to keep your pads dry. Flood water or even a fall in a creek will destroy your pads. 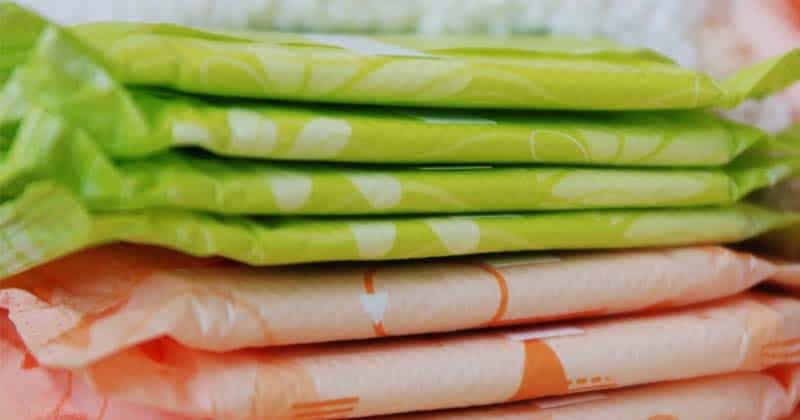 You’ll want to stockpile about 1 year’s worth of pads for emergency preparedness. Pads have a plastic backing which will take virtually forever to break down. Because of this, you can’t put them in a composting toilet. They also aren’t supposed to go in normal latrines, RV dump stations, or camping toilets. The best option is to put used pads in the trash. You could bury the pads but, like with tampons, you risk having animals dig them up. Unless it is a truly SHTF situation and you’ve stopped caring about animal welfare, never bury pads. Reusable pads have gotten really popular over the past few years, particularly because they are better for the environment and save money in the long run. There are plenty of brands which make cute pads with prints on them. 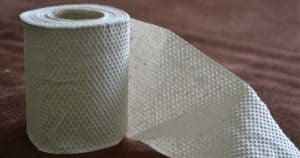 You can also easily make your own pads out of absorbent materials like flannel. The obvious downside of reusable pads is that they must be cleaned. To use them, ideally you rinse them out when changing. Then you put the rinsed pad in with your normal laundry. When on-the-go, this can be problematic since you won’t have anywhere to rinse the pad. You’ll need to keep the bloody pad in a baggie until you get a chance to clean it. Thus, pads are not recommended for Bug Out Bags. Going the reusable route isn’t as gross as it seems though. In a SHTF disaster, I expect this is what most women will start doing. By planning ahead, at least you can have some comfortable pads on hand instead of making them out of whatever rags happen to be around. Full disclosure: I’m a HUGE advocate of menstrual cups. I’ve been using them for 15 years now and love them. Since a menstrual cup lasts about 5 years, I’m only on my third cup. That means I’ve only spent around $70 for 15 years of menstruating. Actually, it’s more like 20 years because my current cup is still fairly new. I’ve used menstrual cups while traveling overseas to some very remote areas and backpacking in the wilderness. If a major emergency were to strike, I wouldn’t have to worry about my period. Admittedly, using a menstrual cup can take some getting used to. However, once you get used to it, you’ll wonder why you ever bothered with pads or tampons. I had to use pads for a while after having an emergency C-section and felt like I was wearing a gross diaper. The only potential issue with menstrual cups for emergency planning is that you need clean hands for inserting the cup. Definitely make sure you have lots of clean water, soap, and antibacterial hand gel stockpiled! I won’t get into the details about how to insert a menstrual cup. You can read about that on any of the manufacturer’s websites. What I do want to deal with is how to insert, empty, and clean a menstrual cup when you don’t have running water. Before inserting or reinserting a menstrual cup, you need to wash your hands. In a pinch, you could just use hand sanitizer. But you obviously want your hands to be clean so you don’t risk getting an infection. *Don’t put hand sanitizer on your actual menstrual cup. You don’t want alcohol residue getting inside of you. Plus, the alcohol will degrade the silicon that menstrual cups are made of. Ideally, you wash the menstrual cup with soap and water each time you empty it. When I’m backpacking, I don’t do this every time. Instead, I keep a bottle of clean, filtered water next to me. I remove the cup with one hand and dump the blood into the cat hole or latrine. Then I use my other hand to pour some water into the cup and rinse it clean. You can also use a bit of toilet paper to wipe the cup. I know thru-hiker women who have gone over 5 days without thoroughly washing their menstrual cups. So long as you are wiping it down at each emptying, you shouldn’t have a problem. However, do clean it thoroughly whenever you get a chance. Make sure it is stored in a breathable cloth bag when not in use so mildew doesn’t start growing on it. Women, we’d love to hear your input on this in the comments section below!